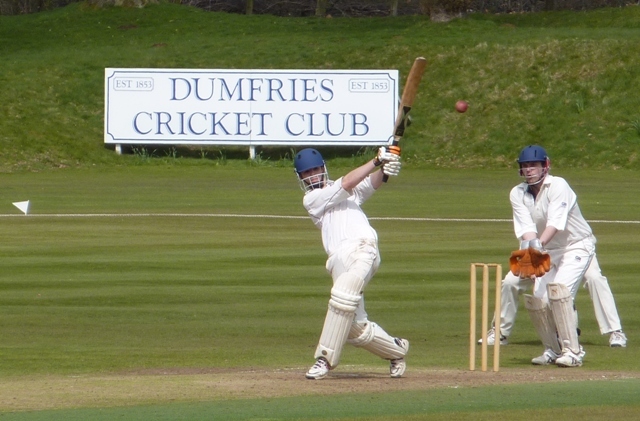 APD Dumfries lost their Scottish Cup group game on Saturday at Cup holders Heriots by three wickets but produced good fight-backs in each innings. Dumfries lost both openers by 34. Then Farrell took the first of his five wickets. The middle order also succumbed to him and Dumfries, with seven wickets down, had reached 95. However the Galloway Industrial Man of the Match, Robert McBride, batting at six, delivered the day’s top score. 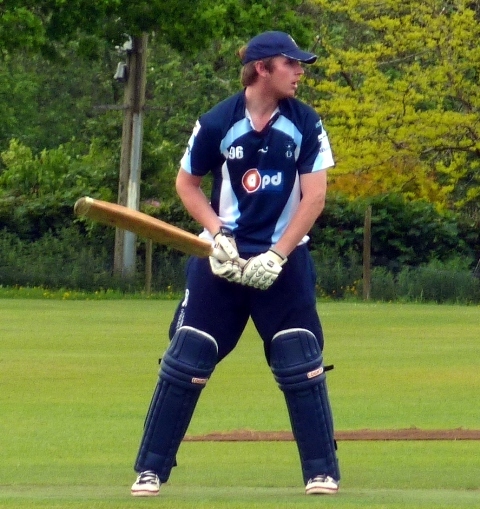 He and Lojszczyk added over thirty, and with last man, Niall Alexander, added another twenty until McBride was caught for 57, to set a total of 161. Heriots got off to a sixty run opening partnership and when they reached 106 for 2, with opener Knox nearing fifty, they were well placed. Lojszczyk made a breakthrough and Beveridge trapped Knox lbw. Nearing 140, three more wickets fell as Goodin took one and Beveridge took two more of his five wickets. However numbers 8 and 9 negotiated the wobble and added the twenty needed. For Nunholm, in the Western Cup, the youngsters featured with the System Hydraulics Player of the Match, Dean Brotherston, top scoring with 30 and Fraser Strachan taking two wickets, but Irvine chased the Nunholm total of 112 for a six wicket win. This Saturday Dumfries start the defence of their league title away at Clydesdale in the Western Premiership. Nunholm play Titwood in the Reserve League. Coaching: Monday night junior sessions for boys and girls take place from 6:15-8. The club’s womens’ training takes place on Fridays from 5 to 7. Contact Trefor Williams on 01387 256455, or contact the Club on 07799 856094, email dumfriescricketclub@gmail.com , see www.dumfriescricketclub.co.uk, www.twitter/dumfriescricket .